Mackinac Island Public School is a Pre-K-12 school with an enrollment of around 80 students. The elementary classes are divided so two grades are in each class (Pre-School/kindergarten/first, second/third, 4/5 and 6th). In our 4th, 5th & 6th grades two teachers split teaching duties with one teaching language arts and social studies classes while the other teaches math and science classes. The Middle/High school consists of grades seven through twelve. The average number of students in a class is about six with our largest class with ten and smallest with two. In order for the students to get to school they must either walk or ride their bikes in the fall and spring seasons. In the winter, however, snowmobiles are the most common means used to transport students. The average distance to school for most kids is around one mile. We seldom have snow days but have had a few wind chill days when the wind chill has been -30 or worse! The original structure of the present school building was completed in 1969 and consists of seven classrooms, an office, a kitchen and a multipurpose room that was used as a gymnasium and dining area. In 1970 a portable classroom (which is still used as a storage building) was purchased and in 1974-75 a group of students constructed an industrial arts building which was attached to the portable. The Mackinac Island Public School has recently undergone additional modifications to the building. 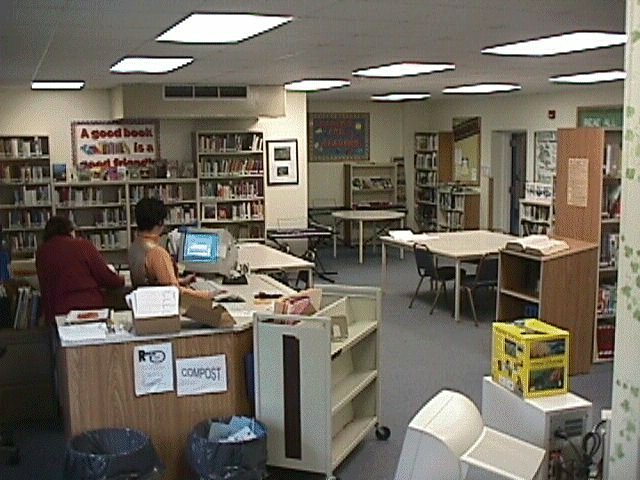 In 1992 a library (above left) and a science room (above right) were added to the main building. 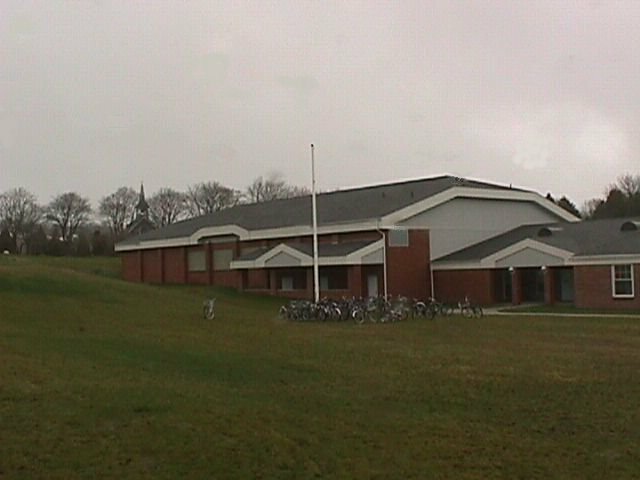 In 2000 a full size gym (below) equipped with locker rooms and a balcony, which is used as a weight room, were added to the northeast end of the school. 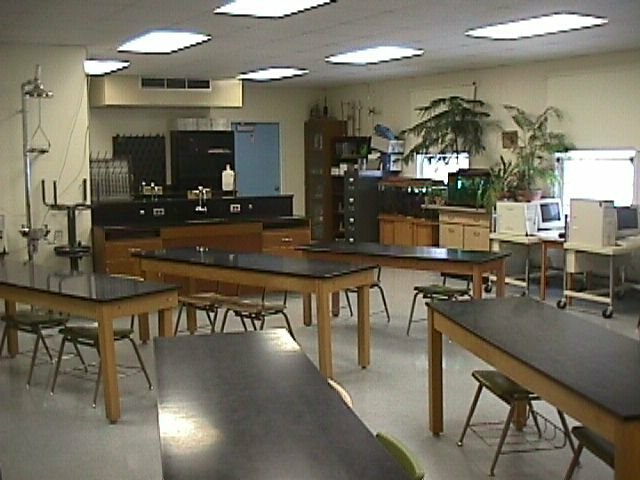 We also relocated the office, added a computer lab and a classroom and remodeled many of the original classrooms. These recent additions have more than doubled the size of our school.